Chris Marzoeki (left) and Daniela Fournier were award winners at the Division A Speech Contest on Oahu on April 6. 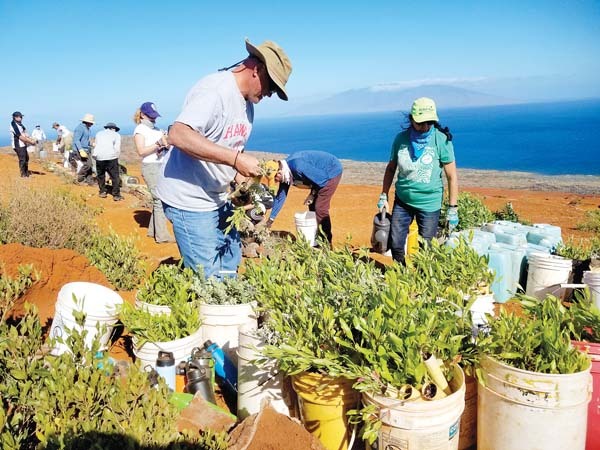 Maui Toastmasters clubs members placed first and second in the Division A Speech Contest on Oahu on April 6. 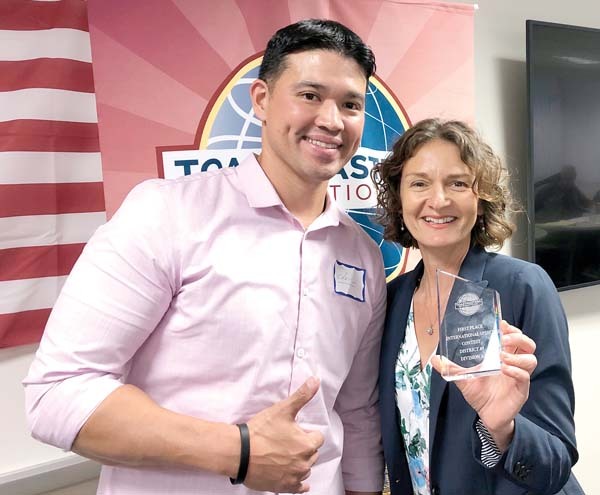 Daniela Fournier from No Ka Oi Toastmasters Club took first place for the International Speech Contest; Chris Marzoeki from Kihei Toastmasters Club took second. Marzoeki also placed second in the Table Topics Contest. Winners will advance to the District 49 Speech Contest at the Pagoda Hotel in Honolulu on May 4. The International Speech Contest has the potential to take winners as far as the annual International Speech Competition. Table Topics is a fun, impromptu speech contest that helps participants practice thinking on their feet. Contests are designed to challenge members’ speaking skills and give them opportunities to speak in different venues, and to progress to state, regional, national and international competition levels. Toastmasters International is a nonprofit educational organization that teaches public speaking and leadership skills through a worldwide network of clubs. For more information, email vpe-7854@toastmastersclubs.org.